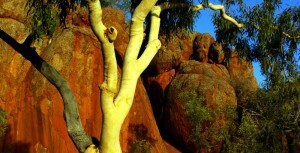 In remote Indigenous communities across Central Australia, local media is a big part of daily life. Audiences tune in to local radio and TV for language, music, information, stories and a media style that is unique to their own community. Dennis Jupurrurla Charles is an Anmatjere radio broadcaster for Pintubi, Anmatjere, Warlpiri Media (PAW for short). As PAW celebrates its 30th anniversary, Dennis wants to find out about the history of media on his country. 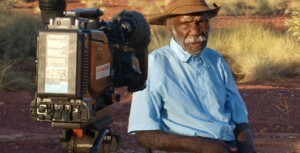 He interviews elders about the past three decades of media in Yuendumu and the Tanami Desert region. They talk about their first memories of early media, setting up a local pirate TV station, the introduction of radio, and recent challenges brought by the advent of internet and mobile phone coverage. 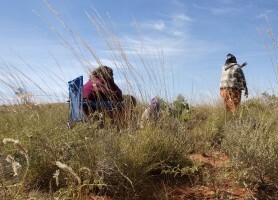 The documentary explores the cultural threats and opportunities that media technologies have brought to remote communities in Central Australia. It also reveals what it is like to broadcast from one of the world's most remote locations. 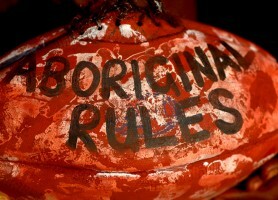 Voice overs by Elizabeth Napaljarri Katakarinja, Elizabeth Napurrurla Ross, Shaurita Napurrurla Langdon, Shane Jupurrurla White and David Jungarrayi Wilson. The supervising producer was Laura McDowell and the executive producer was Michael Taylor. 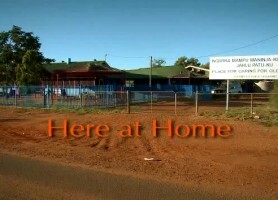 The stories in this documentary are from Jack Jangala Cook, Francis Jupurrurla Kelly, Vaughn Jampijinpa Hargraves, Eddie Jampijinpa Robertson, Noel Jampijinpa Heenan, Kurt Japanangka Granites, Tess Napaljarri Ross, Valerie Napaljarri Martin and Elizabeth Napurrurla Ross. The documentary was produced with funding from the Community Broadcasting Foundation and the Indigenous Broadcasting Program. Original music by Caleb Jangala Hargraves, Warrick Jupurrurla Dickson and Josiah Jangala Fry. 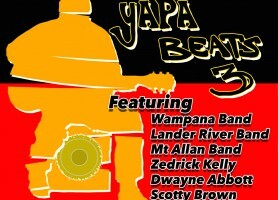 Additional music from Blackstorm, Rising Wind Band, Yurampi Boiz, Yaturlu Yaturlu Band and Tjintu Desert Band. A special thanks go to PAW Media staff, board members and supports past and present. Dedicated to the memory of Kumanjayi Jampijinpa Fry, who used radio to spread happiness and laughter across remote central Australia.